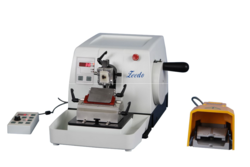 Our range of products include hs3345 fully automatic microtome, tissue processor hs-1000, vacuum tissue processor, microtome, rotary microtome and cryostat hs 3060t. Streamlined molded housing results in attractive appearance and is easy to clean. Section counting function counts total section pieces and total thickness. 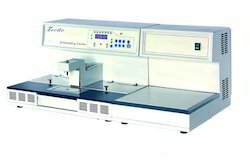 Unit contains a precise micro motion specimen feeding system which uses a micro computer, optical signal and stepper motor to control specimen feeding resulting in more precise specimen feeding. Alarm to warn of forward or backwards limitation. Chinese menu, man-machine interaction, simple operation. Prompt j udge and automatic processing in case of abnormal condition, which can prevent the tissue from being damaged. Self-provided power supply can ensure to continue 6 hours’ working even if the electricity has been cut off. Environment friendly: The air as purified through internal circulation can be exhausted off the window. With transmission of gear and rack, mechanical failures can be reduced. Large color Liquid Crystal Display (LCD) User-friendly, intelligent software. Alarm system to reminder wrong operation and trouble Multiple specimen protection system. 15 programs that consist of up to 9 reagent and 3 paraffin wax steps. Time per program step: 0 to 99 hours, 59 minutes.Up to 200 cassettes can be processed simultaneously. Wax clean program. 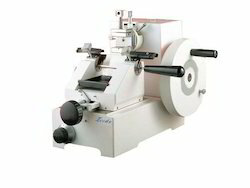 Adopted with mechanism structure internal with good stability that ensure the reproducible and evenly slices. It is universal used in the lab institute. Mechanism drive. Compatible Embedding Material: Paraffin.Range of the thickness of slice: 1 - 35 μm. > 35 μm, setting any thickness for slice. Maximum section of slice: 50 x 40 mm. 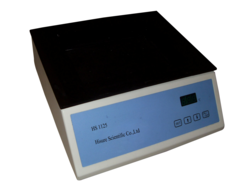 HS2026 microtome: Length x Width x Height: 470 x 320 x 320 mm, 22.5 kg. It have clipper –built case , the user can put blade , wax block ,or other consumable one the top of case . it is easy .it donot need to lubricate and maintain the microtome frequently . The handwheel in the right can be locked in any position , and the handle can be locked in highest position , it is double safe for changing blade or tissue block . The specimen Orienting system: axes X and Y 8°, axis 180°. The cooling unit consists of a heavy duty compressor operating with CFC-free cooling gas to reach - 35°C. The design and construction takes into consideration easy handling and minimal servicing requirement. 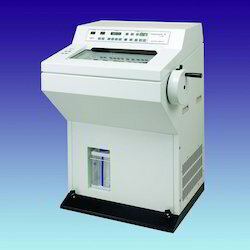 The enclosed microtome has connection to external drive and includes anti-roll device. The sliding window is made of dual insulation frost free glass. The spacious cabinet consists of coated sheet metal with the opening at the top. It includes fluorescent lighting and hygienic drainage system. 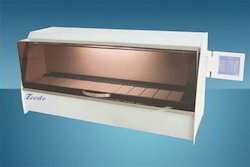 There is a low temperature storage area on the left for up to 10 specimen holders. In addition there is a storage space on the right-hand shelf. 2 µm step up to 20 µm and 5 µm step up to 60 µm. Automatic micro-retraction of holder, adjustable at time of manufacture. The specimen table are 22 mm or 35 mm diameter. The maximum specimen size is 55 mm diameter. Stroke of the X-axis is 59 mm. The motorized advance/retraction has a range of 28 mm and is push-button controlled by 2 different speeds, ergonomically installed in left-hand arm rest. 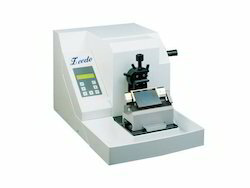 The unit uses a modern rotary microtome with extremely good mechanical stability. The specimen is only going on one direction. The knife carriage is only going one plain. The accessories of the knife holder include the knife holder base and the disposable blade holder, optional the steel knife holder. The fully automatic controller allows adj ustment of temperature in 1°C steps down to - 40°C. The defrost system is fully automatic and is adj usted by real time clock. The defrost is automatic and freely programmable. Adopting computer to control whole work process,operate brief work stabilization. Having exchange j ar and change place control draw perch,operate agility brief. If lose electric give an alarm,protecting tissue in liquid,obstache,protect function and so on. Adopting agitation dehydrate mode,so tissue and solvent,paraffin meet,thereby well effect. Screen showing information is English,easy to use. Time design range wide:delay time 59hr59min. Each j ar working hours longest 59hr59min,Time design least distance 1 min. Wax j ar adopt constant temperature control system. Temperature precision high:defend pollution,defend canker. Adopting 9 slices 1.2Lmedicine aquarium,at any moment observe tissue change at work. According to user’s need to tailor standby electrical source,after power cut it can work in great,working hours can reach 4—16hours. Steps of processing tissue: 12steps. Tissue basket specification:Barrel tissue basket-- 95x80mm. Layer nacelle 95x80mm Five layers. External dimension: (diameter)660 x (High)550 x 680(Tiptop)mm. A newly developed products after ,it has adopted internationally advanced design. This microtome is classic of the current advance craftwork . it reach the perfect mixture of electronic and mechanism.. So the customer can operate it easily and conveniently. It adopted the advanced import actuation system so that can slice the tissues more precisely ,more reliable and quiet. The LCD display show the slice and trimming thickness ,section counter in Chinese or English version. It have special function of sample retraction .it can avoid the damage due to the attrition between sample and the back of knife so that the slice is more smooth and the life of the knife is more longer . Process:Each cup working hours—0~59hr59min. Delay process—0~59hr59min. Tissue basket specification:Barrel tissue basket--95x80mm. Layer nacelle--95x80mm Five layers. Use the imported guide rail and step motor to achieve transmission through the imported synchronous belt. Computer-control technology leads to stable running and precise positioning. Machine can be started in the condition of no electricity. 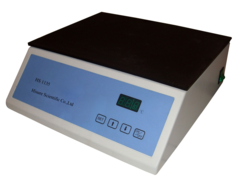 If it is heated continuously (in DC 24V), it can run for consecutive four hours. Environment friendly: the noxious gas can be adsorbed by active carbon through internal circulation, and drained out through pipeline. Single-cylinder processing time: Randomly set within the range from 0 to 99 hour(s). The temperature of wax cylinder can be randomly set within the range of 99. Processing time of each container: 0s~59 min and 59 s.
It is independent design, can put the position left-to-right or right-to-left, to meet different habits of customers. 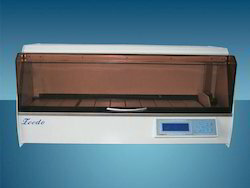 The Embedding center is composed of two modules, main console and Cryo Console. It is independent design, can put the position left-to-right or right-to-left, to meet different habits of customers. 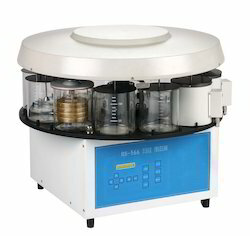 The large working surface allows user processing many samples at the same time. The temperature and work start time can be settable through the control panel. 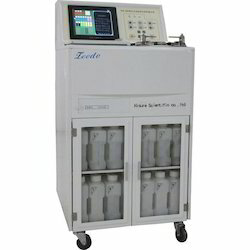 The large cold spot Peltier is designed to orient even small and big samples (Mega Cassettes). Work start time and day can be programmed automatically. 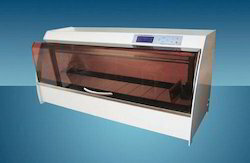 The tissue embedding cassettes and base molds trays are removable and can be set at different temperatures. It is composed of a compressor cooled work surface held to chill the paraffin blocks rapidly. The Teflon coated surface allows a minimum ice formation and easy cleaning. Temperature is adj ustable from ambient to-13centigrade. 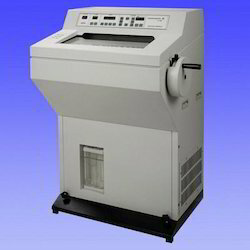 It can be used as a stand alone unit near the microtome station. Display presetting temperature & current temperature. Range of setting temperature: ambient to 90°C (constant adj usting). Temperature precise error: + 1°C. Allowance ambient temperature: 0 - 40°C. Working voltage: 220 V /50 Hz. Dimensions overall: 340 x 340 x 120 mm (W x D x H), Weight: 6 kg. Dimensions overall. 340 x 340 x 120 mm (W x D x H), Weight: 6 kg.